Because grout is porous, it absorbs matter like dirt and grime as time goes by, making it darken in color and appear dirty. Washing the surface alone won’t solve the problem completely. Sometimes commercial floors need professional tile and grout cleaning services to do the job. That’s where Spring Clean Carpets can help. Using tools and equipment specially designed for cleaning tile and grout, our commercial cleaners will wash and sanitize tile floors for your local business in Saratoga Springs, Herriman, Riverton and throughout Salt Lake and Utah Counties. We’re commercial tile and grout cleaners trusted by businesses in the area for more than a decade. Contact us today and let us help clean your business floors! 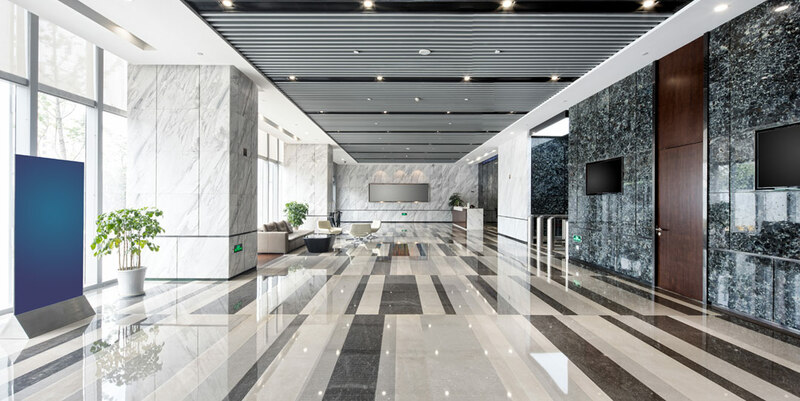 Each floor is different, which is why our commercial tile and grout cleaners don’t provide just a generic, one-size-fits-all cleaning service. They’ll evaluate your floors and the degree to which grout is stained before applying treatment so that we can offer you better, cleaner results. What else makes our professional tile and grout cleaning services some of the best? Because our cleaning solutions are free of harmful chemicals, they won’t leave irregular bleached marks or a lasting aroma. They also won’t require as much time away from your commercial space, so that you can get back to work sooner. ​To get down below grout’s surface, you need powerful tools that will pull out grime and leave floors looking spotless. At Spring Clean Carpets, our commercial cleaners use professional tile and grout cleaning brushes and PSI water jets to scrub and spray away all dirt and grime in one fell swoop. A Deeper Clean in Less Time! We know how important your business is. We feel the same way about our family-owned and -operated company. We also know that the longer commercial tile and grout cleaners spend on your business’s floors, the longer your business is put on hold. We promise to be prompt and effective with our time, giving you high quality service in half the time. For professional tile and grout cleaning services near your Utah business, contact Spring Clean Carpets today. We look forward to helping your commercial space look spick and span.